This fun class is for teens that have drawing basics covered and want to take it to the next level. Students will learn perspective, shading, adding detail and realism and using color, as well as charcoal pencils, inking and other things to make drawings come alive. This class revolves around what students want to learn, with no pressure to “keep up”. 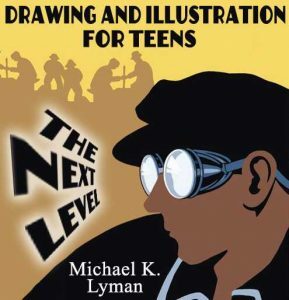 Students should have a solid drawing foundation and desire to learn new techniques. Open to ages 15 years and up. Materials needed: Sketchbook, Drawing Pencils, and a grey Kneadable Artists Eraser.